What do you want to see every day? You’ve looked at that blank wall every day since you moved into your home. You have plans for how to fill it, but you find that you constantly doubt yourself and end up changing your mind. Which photographs should you have printed? Where should you have it done? What sizes? Somehow, you never have the time to make it happen. And yet you know that nothing would make you happier than seeing beautiful images of your family every day. It’s my honor to help you fill that blank wall. In fact, one of my favorite parts of being a photographer is working with my clients to design custom wall art galleries. 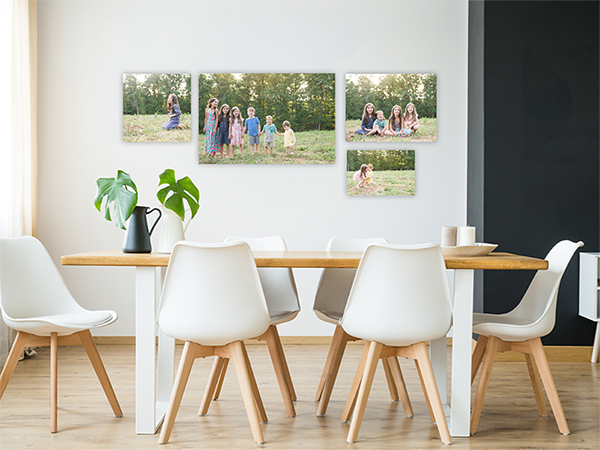 I can provide personalized advice about what will look good in your home and how large your photographs should be printed. 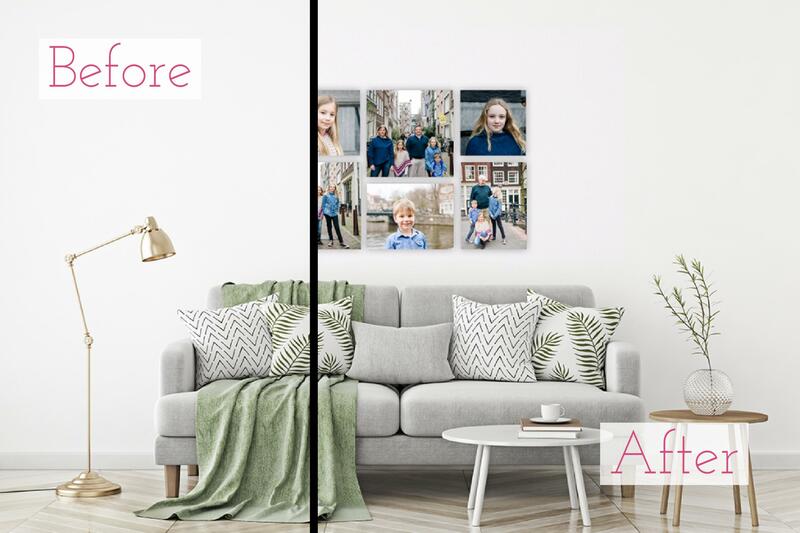 Using special software, I can even show you what your photographs will look like on your own wall. We can make adjustments together until we’ve created the perfect wall art gallery for your home. When you can visualize what the finished wall will look like, there’s no way you can go wrong. After we’ve determined the final design, I optimize the images for print, place the order and inspect the finished products to ensure they look exactly as they were intended to. And then comes my favorite part: I deliver your products to you in person! Suddenly, that blank wall becomes a work of art, where you display precious family memories for years to come. 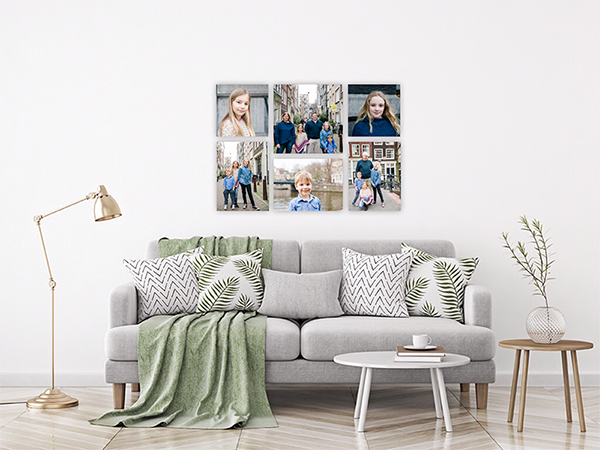 Get in touch to start making your wall art gallery a reality.